Our “Industrial 3D Printing for Dummies” book explains how additive manufacturing can accelerate and augment product development -- from prototype through production. Learn about new and existing technologies, available materials, and how 3D printing is being used for commercial applications in nearly every industry. Request your free dummies book now! Learn how this company was able to save 1.5 employees per cell per shift by deploying the flexible Universal Robots. The optimized production meant that Trelleborg was able to take in more orders, increase product quality, and hire 50 additional people. Watch and read how this was achieved. Meet your new robot colleague. Normally, bare metal sliding against bare metal is not a good thing. Friction will destroy pistons in an engine, for example, without lubrication. Sometimes, however, functions require metal-on-metal contact, such as in headphone jacks or electrical systems in wind turbines. Still, friction causes wear, wear destroys performance, and it’s been difficult to predict when that will happen -- until now. A patent was recently granted to a team of U.S. military engineers and a Naval academy professor for a mortar "Ammunition Resupply Projectile" that deploys a navigable payload in flight to accurately deliver supplies to a distant target. When it comes to removing very dilute concentrations of pollutants from water, existing separation methods tend to be energy and chemical intensive. Now, a new method developed at MIT could provide a selective alternative for removing even extremely low levels of unwanted compounds -- and it can do it using very little energy. CAD models of Smalley Wave Springs are downloadable at application-specific heights. Enter any height between the spring solid and free height in over 60 native and natural CAD formats. 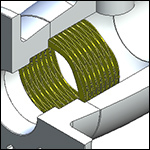 Wave springs can reduce spring height by up to 50% with the same force and deflection as coil springs. 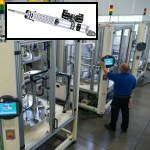 Setting up production work cells in Ohio to produce a totally new product like the premium DampTronic Sky shock absorber from ThyssenKrupp Bilstein of America proved no easy task. It required a “glocal” solution combining global and local automation technologies and know-how to provide fast recipe changes, with flexible and high-accuracy production of frequent short runs to suit product demands in the market. Siemens and Hahn Automation were central to the project's success. The Bebionic myoelectric hand prosthesis was recently developed to help with daily life challenges. Powerful, small FAULHABER motors ensure that the prosthesis can grip without any problems, quickly and firmly and maintain a constant gripping force. Two electrodes integrated into the prosthesis shaft detect the myoelectric signals and forward them to the control electronics. These signals are amplified and used to activate the 5 small electric motors. Fluke and Veros Systems have collaborated on asset performance and condition monitoring technologies to increase visibility into the efficiency and reliability of electric motor-driven machines. 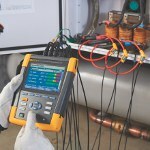 The Fluke 438-II Power Quality and Motor Analyzer is the first tool to result from that partnership. It analyzes three-phase power-quality measurements and uses an innovative method developed by Veros to calculate motor output torque, speed, horsepower, and efficiency. Using this information, engineers and technicians can evaluate system performance and detect overload conditions while the motor is operational, without the use of any mechanical sensing devices such as tachometers, strain gauges, or other intrusive sensors. Quantum Devices' Model QDH20 provides an improved feedback solution in demanding applications typically using a standard size 20 package. Outputs consist of a quadrature A & B with reference pulse Z as a standard feature. The output can be configured with either the industrial standard 5-V to 26-V OL7272 line driver or open collector outputs. The QDH20 features two heavy-duty bearing sets holding the output shaft and two more bearings along with an integral flexible spring mount to isolate the working pieces of the encoder from mechanical stresses. Features include 500-kHz fundamental frequency response, high-temp option (100 C), and high noise immunity. When ICOMold manufactures a production mold tool for your custom plastic injection molding project, they provide a lifetime mold warranty. As long as the company is producing your plastic parts, they will maintain your mold at their expense -- for the life of the tool. If your mold should require any maintenance or repairs whatsoever, they will take care of it at no cost to you -- even if it needs to be replaced entirely. 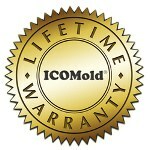 The lifetime warranty applies to ICOMold production molds. 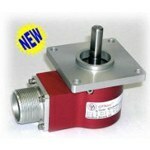 They also offer a low-volume/prototype mold that carries a warranty for up to 10,000 cycles. Click here to see mold types and warranties provided. 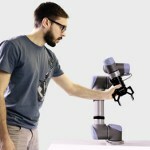 Robotiq offers new tools to help collaborative-robot beginners save a lot of time programming Robotiq products and UR robots. Program templates are now available and ready to be downloaded from Robotiq’s online resource center. Every package includes a program file, step-by-step procedures, and a demonstration video. Four program templates are available: Stacking/Unstacking Using the Force Torque Sensors, Palletizing Using the Wrist Camera, Measuring Insertion Force, and Increasing the Wrist Camera’s Field of View. New programs are expected to come out every week. 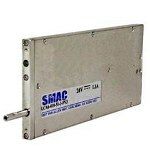 At 6 mm wide, SMAC Moving Coil Actuators claims the LCA6 is the thinnest linear moving coil in the world. This unit is cross-roller guided, increasing accuracy. Flat coils are centered between cross rollers, so deflection load is reduced and rigidity is increased. In addition, the LCA6 is small and stackable, conserving space. The LCA6 is great for electronic pick-and-place, biomedical dispensing, and QC measurement. Specs include a linear stroke of 10 mm and peak force [N] = 3.5 @ 1.2 amps (24V). The Sikorsky/Boeing Future Vertical Lift concept is a scalable design based on proven X2 Technology, which aims to double the speed of current military helicopters. Designed for long-range, high-speed, superior hover performance and unmatched maneuverability, the Future Vertical Lift program will shape the U.S. military’s helicopter fleet of the future, initially by replacing the Blackhawk and Apache helicopters. The design with working prototypes focuses on vibration reduction, weight reduction, and blade technology; features fly-by-wire technology; and even incorporates elements of the Joint Strike Fighter jet airplane. The RAIDER light tactical prototype helicopter is capable of carrying six troops and external weapons at 276 mph. The DEFIANT Joint Multi-Role Technology Demonstrator helicopter will prove the scalability of the X2 design to a 30,000-lb. class weight. View the Future Vertical Lift video. View the more in-depth X2 Technology video. Almost three years after the in-flight breakup of SpaceShipTwo VSS Enterprise on Oct. 31, 2014, Virgin Galactic has completed a successful first test for feather flight for its VSS Unity spaceship. Untimely unlocking of the feather system, which was designed to pivot the tailboom structures upward to slow the vehicle during reentry into the Earth's atmosphere, was blamed for the incident in 2014 that killed one of two pilots. A new "control inhibit" feature should prevent that from happening again. The latest test flight was the fourth glide flight (and eighth flight overall) of VSS Unity. In Virgin Galactic's concept, a passenger-carrying suborbital SpaceShipTwo vehicle is carried by a mother ship, the WhiteKnightTwo dual-fuselage jet aircraft, up to an altitude of around 50,000 ft for air launch, where it reaches supersonic speed within 8 sec powered by a hybrid rocket motor. It cruises into the lower thermosphere almost 70 miles up before performing reentry and then landing back on Earth. Read the Designfax article on the SpaceShipTwo VSS Enterprise disaster. Electroplating may have been around for centuries, but only Servometer excels at manufacturing dynamic, convoluted bellows electroforms. Watch Servometer’s five-step electroforming manufacturing process and learn how they are able to deliver electroformed components that feature extreme tolerances, complex geometries, lightweight construction, structural strength, and how they can be applied to a variety of applications. Orion Fans delivers the industry’s lowest cost filter fan kit, including louvered fan guard, filter, fan, metal guard, and hardware. The filtered fan kit protects against dust, dirt, and moisture from entering industrial, electrical, and electronic cabinets. In stock at Allied Electronics, these kits are rated to IP54, IP55, or IP56 and are available for 120-, 172-, 225-, 254-, and 280-mm fans. In Stock at Allied Electronics. TriMech Truthseekers try to find out if, and why, spaghetti always breaks into at least three pieces. Can they use SOLIDWORKS simulation to help solve the mystery? In real-world, day-to-day activities, TriMech partners with SolidWorks and Stratasys to provide companies with complete solutions in 3D CAD/simulation, rapid prototyping, consulting, and personnel placement. TriMech has six SolidWorks Authorized Training Centers located throughout the Mid-Atlantic.